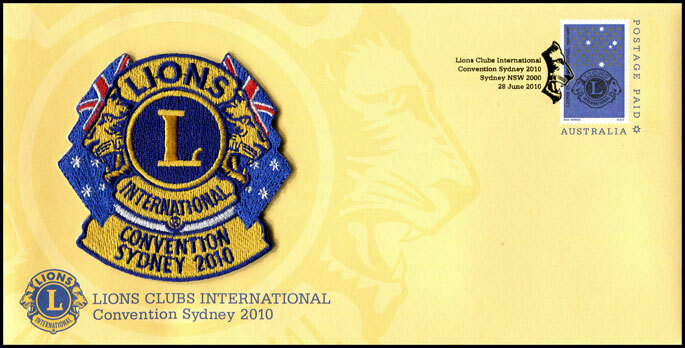 Sydney hosted the 93rd Annual Lions Club International Convention from 28 June to 2 July. As this envelope is prepaid (inscribed 'Postage Paid Australia'), it was not affected by the proposed rate rise on the date of issue. More information about the convention can be found at www.lions2010.com . 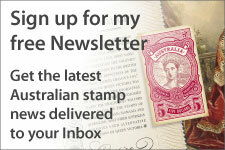 Australia Post has featured the Lions Club on two stamps. 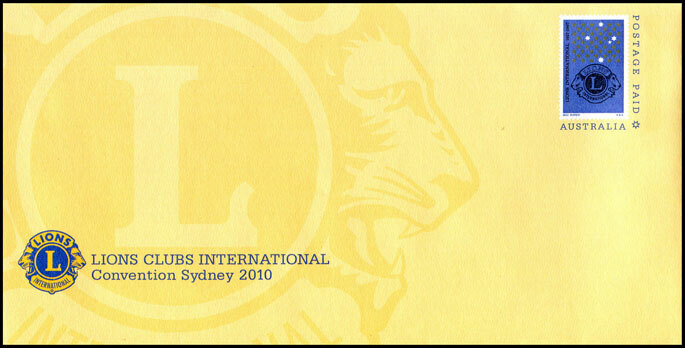 The prepaid envelope features a reproduction of the 1967 stamp celebrating the 50th anniversary of Lions International. The 50th anniversary of Lions Australia was commemorated in 1997 with a single 45c stamp (shown at right). Australia Post also issued its first 'Prestige Prepaid Envelope', which is a similar same prepaid envelope with an embroidered badge attached to the front. More information is given below. As this envelope is inscribed 'Postage Paid Australia', it is not affected by the rate rise on 28 June. 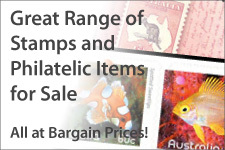 The stamp area shows a reproduction of the 1967 stamp (shown at right), with 'Australia' and value removed. On the regular prepaid envelope the text on the left of the envelope is 2 cm from the bottom of the envelope. 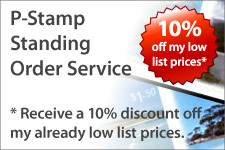 The prestige prepaid envelope has the text 0.8 cm from the bottom - this is to accommodate the embroidered badge.